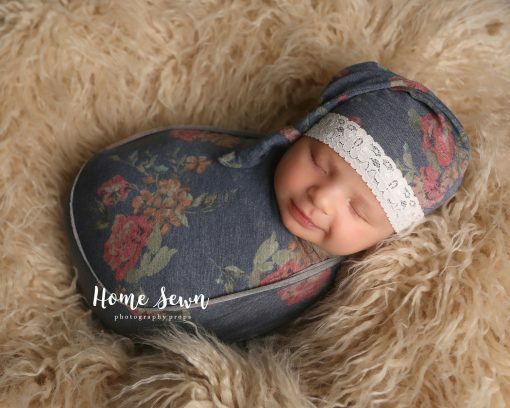 3-piece TuckWrap™ set. 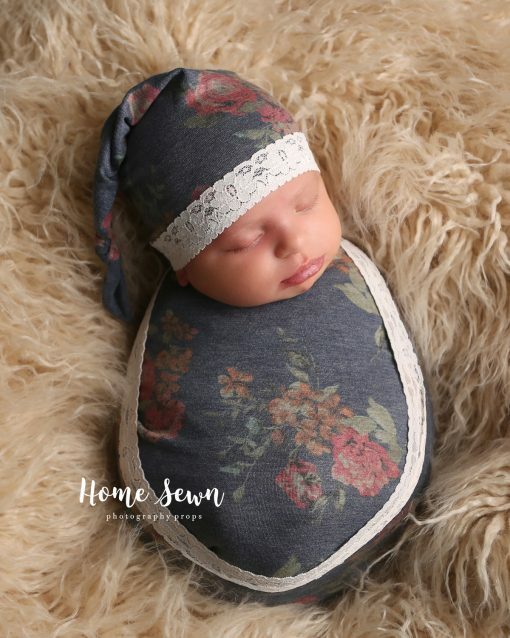 Set includes blue floral TuckWrap, matching lace loop, and knotted newborn sleepy hat. Please handwash and lay flat to dry.